Well, the gods decided to punish me for a moment of hubris on the final day of my road trip. I congratulated myself on my personal organisation as I packed up in the last motel of the trip. I hadn't lost a single thing. It wasn't until I was over an hour out of Barstow I remembered that the chargers for my phone and my laptop were still plugged into the walls. That meant an expensive shopping trip when I arrived in Las Vegas. 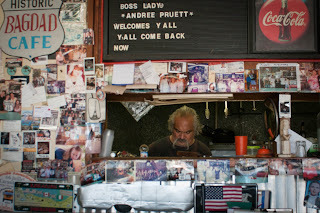 But, that aside, my day started back on Route 66. I decided not to risk my Jeep's suspension on the first leg from Barstow, as that section is notoriously rough. Instead, I took the interstate to Newberry Springs and joined there. 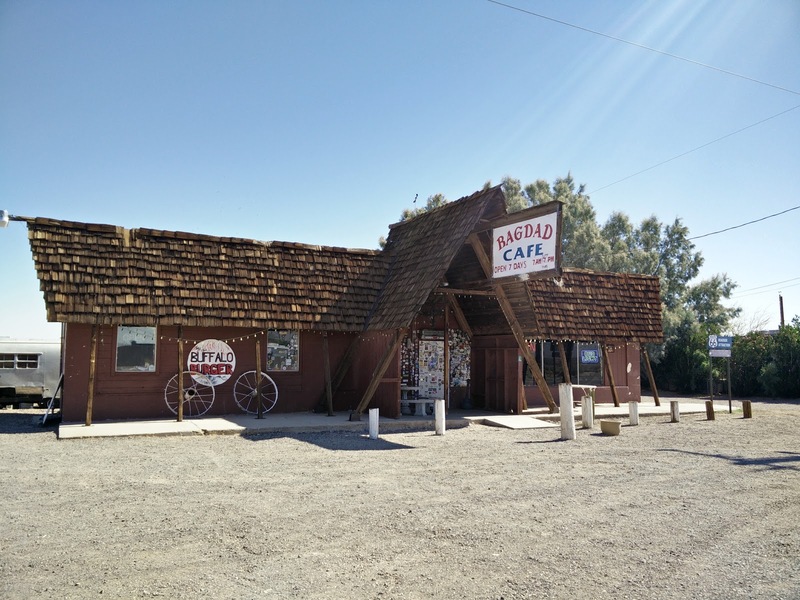 Newberry Springs, another Route 66 ghost town, contains an important place of Route 66 pilgrimage - the Bagdad Cafe. 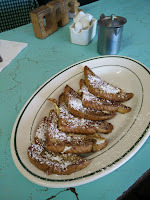 The cafe is famous because of the German 1988 movie of the same name. It's not in Bagdad - as I discovered yesterday, it's nothing more than a tree in the middle of nowhere. The remaining buildings of the town having been razed in 1991. 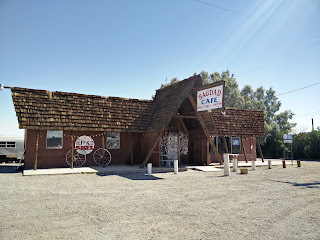 The movie was filmed at the nearby Sidewinder Cafe in Newberry Springs, which has since renamed itself to capitalise on the movie's popularity. I don't know how successful the film was in the US, but I know it was a hit in Europe - and yet again, all my fellow diners were French. I noticed they were playing the film's soundtrack when I walked in. I hope, for the sanity of the owners, it hasn't been playing for the last 30 years. 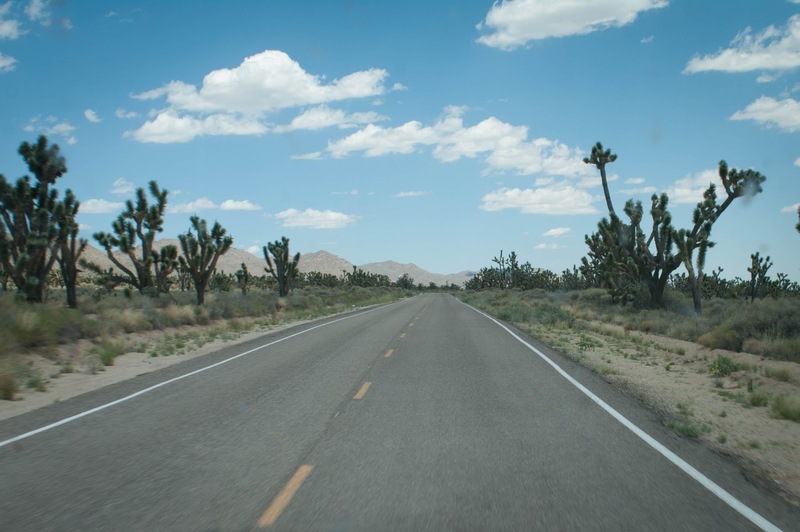 From Newberry Springs they're resurfaced the road, making for a fast, easy drive back to Ludlow. Sometimes (although I shouldn't admit this) I found myself going faster than the cars on the nearby interstate. Back at Ludlow, I stopped to take a look at the Crucero Road that goes deep into the Mojave desert - it's just a dirt track, and I know my Jeep wouldn't be up to it. I'll save that for another day - and anyway, I had a much easier drive into the desert coming up. From Ludlow I drove a little way down the I-40 to pick up the Kelbaker Road - so named because it connects Baker and Kelso - to drive off into the desert in search of a lost train station. Kelso Depot is 25 miles from the main road and a long way from civilisation. It was an important stop on the Union Pacific Railroad as it was one of the few places to get water in the Mojave desert. The depot expanded to include a restaurant and other facilities in a grand station in the Spanish Style. Once diesel trains replaced the steam engines, the station was no longer needed and was scheduled to be demolished in 1985. However, it was purchased by the National Parks Service and turned into their visitors centre for the Mojave Desert National Park. It makes for a beautiful oasis in the middle of nowhere. It's a Route 66 thing. If it wasn't on the mother road, if it hadn't been in a movie, would anyone even make note of this little diner? Maybe not, but that's not the point. 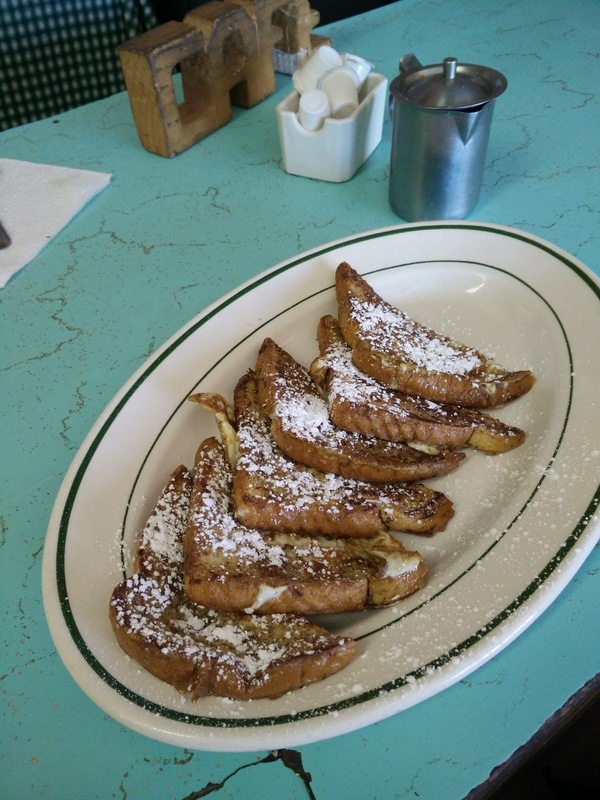 It's unique, it's an icon, and you have to stop - if only to eat the french toast like I did.